Build a Profitable ATM Business. Are you an entrepreneur? ATMs offer a business opportunity with amazing potential to convert your existing business relationships into revenue. With our expert help, you can start and manage your own profitable ATM machine business. Our ATM management solutions are all designed to maximize customer success and make business easy. Manage an ATM Business. Contact us today. 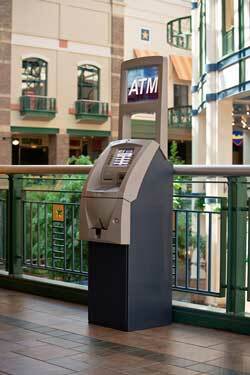 Do you know businesses that need, but don’t have an ATM? Do you work with retailers who already have an ATM, but would be willing to change processing or maintenance to consolidate their vendors to a single trusted source (you)? E-Machines can help you start and manage your own ATM business through ATMs you own, sell to merchants, or convert to E-Machines for processing. Curious about learning more? Call E-Machines today at +1 516 478 9208 or fill out our contact form to discuss this opportunity with one of our ATM experts with no obligation. We will help you understand how to operate a successful ATM machine business!